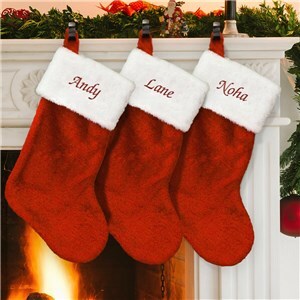 No house is complete without personalized Christmas stockings hanging by the fireplace (or some other hearth of the home) waiting for a visit from Santa! 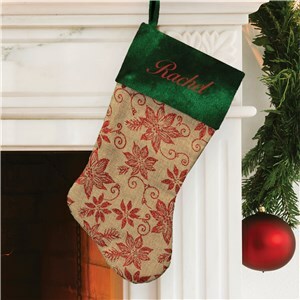 Famous Christmas stories describe festive households decorated with pretty shades of red, green, silver, and gold splashed across every surface for the holiday season. 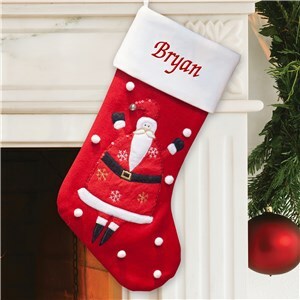 Each member of the family deserves to admire their name among the names of their loved ones on the traditional Christmas decorations with an attractive, celebratory custom Christmas stocking from GiftsForYouNow. 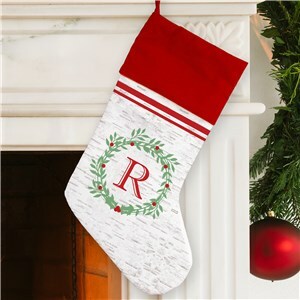 Find your favorite knit Christmas stockings, white Christmas stockings, monogrammed stockings and more. Totally recommend this product and company! You can get a custom Christmas stocking to match everyone's individual personality, or get a coordinated monogrammed stocking group set. 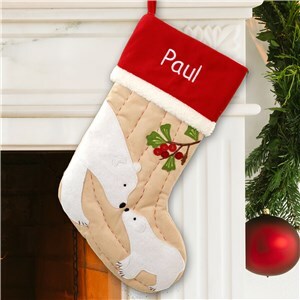 From Embroidered stockings to monogrammed, you can even find stockings for your dog and cat and add a favorite photo! 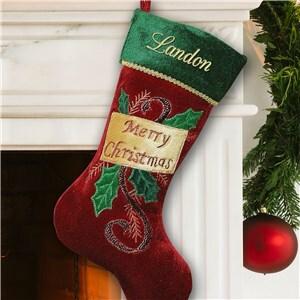 Get your favorite personalized stockings for Christmas here at GiftsForYouNow. 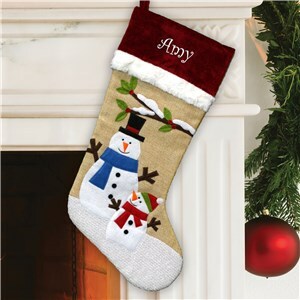 Shop with GiftsForYouNow to find great gifts that can be delivered. We make it easy to find just the right thing for someone special, year round! 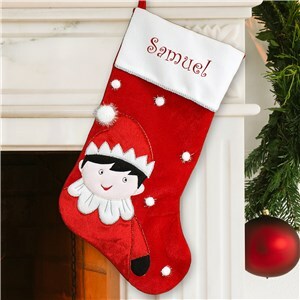 If you're curious to learn about the history of the Christmas stocking, check out our blog post on the subject! 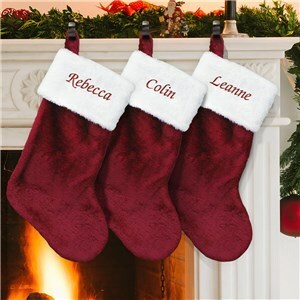 Christmas Stocking style is so personal! 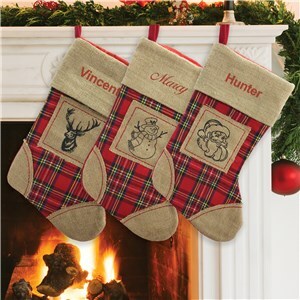 Personalize them to match your holiday decor, each person's personal style, or do both - it's totally up to you. 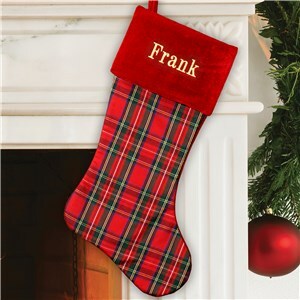 So break out the stocking holders and get ready to hang your favorite personalized Christmas stockings with care. 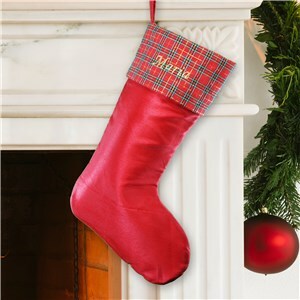 All those images you see of stockings hung by the chimney with care have something in common - the classic red stocking. Winter Wonderland lovers rejoice! 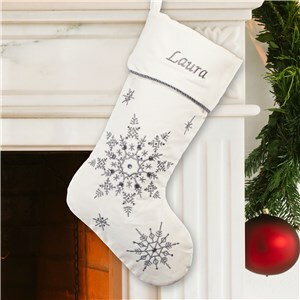 The most beautiful embroidered white stockings are within reach and they're personalized free! 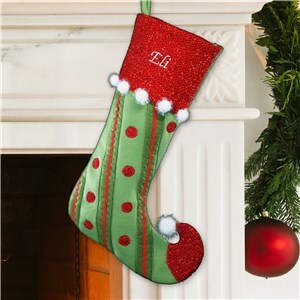 There's a sophisticated elegance to a holiday stocking adorned with a single initial. 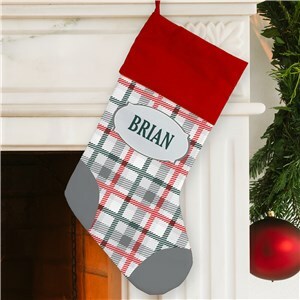 Tartan plaid in red and green or contemporary black and white look great paired with classic Christmas decor. 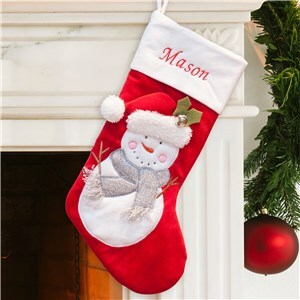 Let children express their holiday style with a personalized stocking for kids that they choose themselves, or that features their cute photo! Add the classic colors and styles of the vintage look without worrying about mothballs! 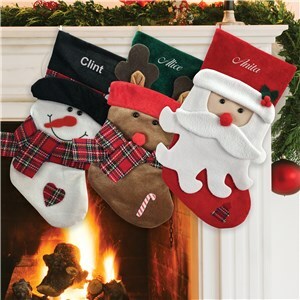 Knit stockings offer a rustic and endearing charm to your mantle display, and look great with our Christmas Gnome collection! 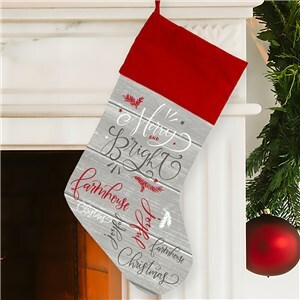 If bling's your thing, you can add a big dose of sparkle to your stockings display with metallic fabrics and embroidery thread. Remember that holidays are for family and for fun! 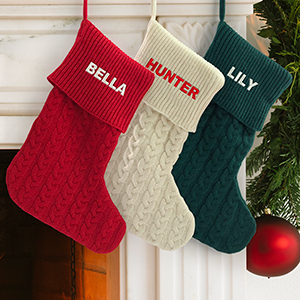 Make a playful display of your personalized stockings for the whole family.